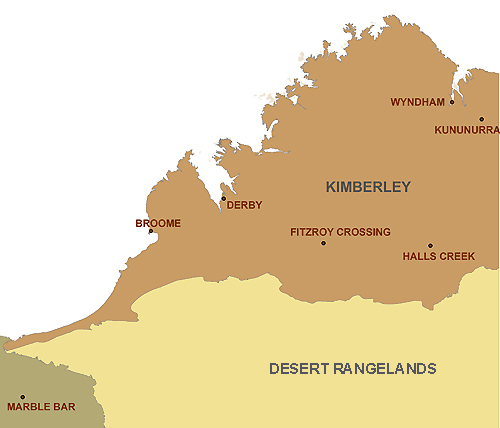 The Kimberley subegion of the Western Australian Rangelands is 424,517 square kilometres in size and is the State’s most northern subregion. 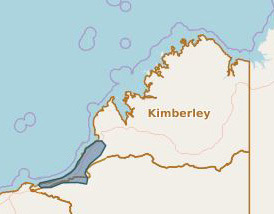 The coastline faces the Indian Ocean to the west and the Timor Sea to the north. 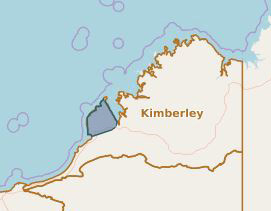 It is bordered by the Pilbara subegion to the south and the Northern Territory to the east. 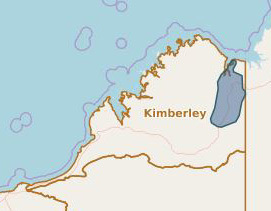 According to the Australian Bureau of Statistics, 36,562 people lived in the Kimberley in 2011. 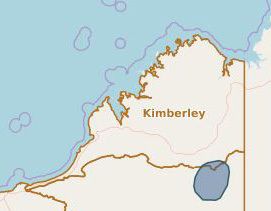 Threats to target areas in the Kimberley were analysed and results presented below. 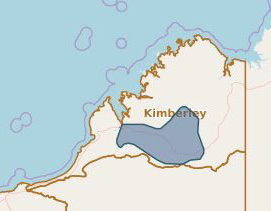 The Kimberley program aims to protect priority flora, fauna and aquatic ecosystems by implementing a co-ordinated approach to fire management, controlling feral animals and containing new and emerging weed species. Special places of significance such as micro refugia, priority wetlands and coastal dune systems will be protected in conjunction with support of traditional owner groups. Rangelands NRM will continue to work with the community to increase capacity to effectively plan, resource and implement on ground works to manage priority areas. 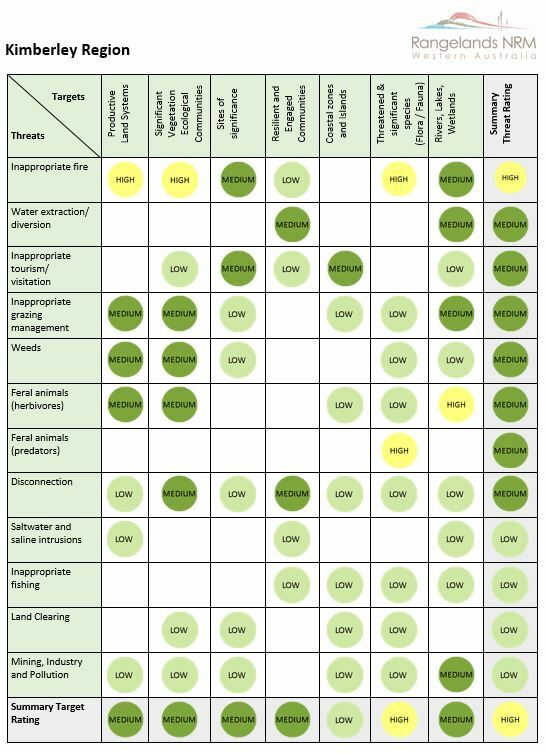 Government agencies, pastoral managers and Indigenous Rangers are critical to the management of these priority areas. Priority Areas for 2014-2018 were identified. This page is now archived.